Members of the Liberian Dance Troupe (LDT) perform traditional dancing at the Buduburam refugee settlement, roughly 20 km west of Accra, Ghana's capital, on Saturday April 14, 2007. 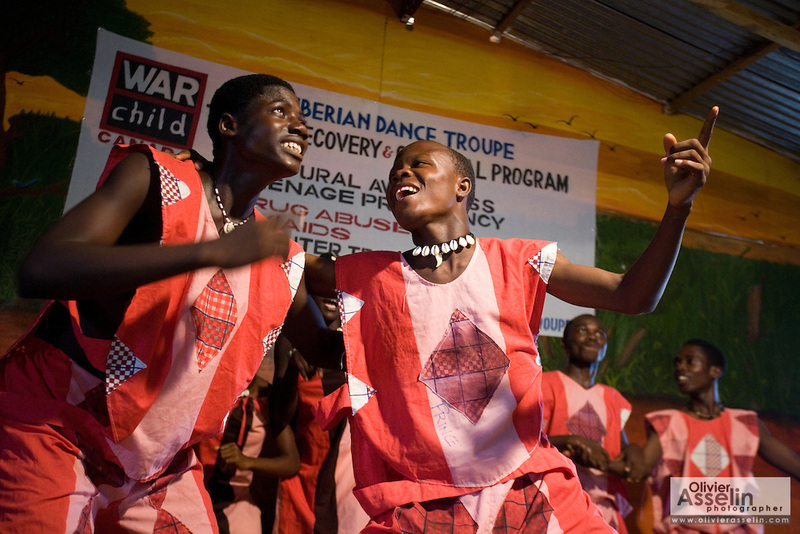 One of the main goals of the LDT is to teach young refugee children, many of which have never seen Liberia, about their country's music, dance and culture. The Buduburam refugee settlement is still home over 30,000 Liberians, most of which have mixed feelings about returning to Liberia.